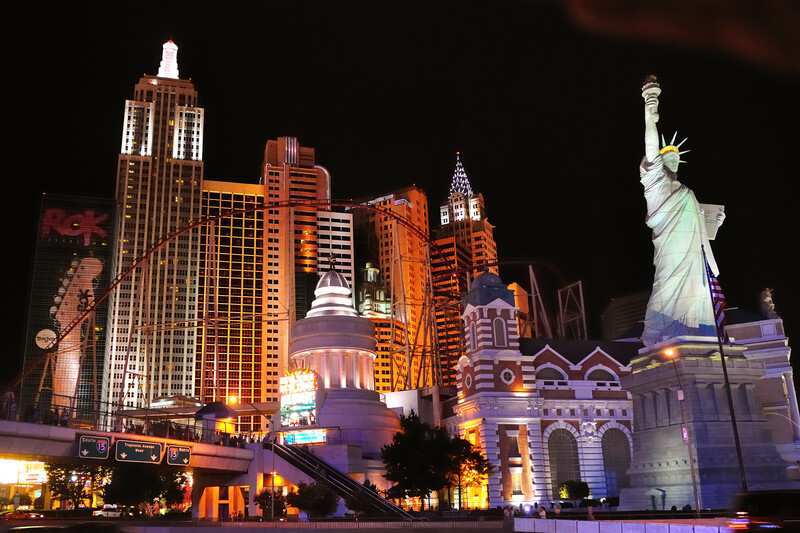 A popular photo spot opposite the New York New York hotel in Las Vegas. I had taken same photo some 12 years ago at the same spot. Compare to notice the advances in technology. I had to work a lot on old photo (shot with film camera and then scanned negative) to remove noise, get correct white balance and remove some blemishes on the negative. This time around you see pretty much exactly what came out of my camera (digital this time) with only cropping and color cast removal. Shot with Nikon D90 and Nikon 18-200mm VR lens without a tripod. 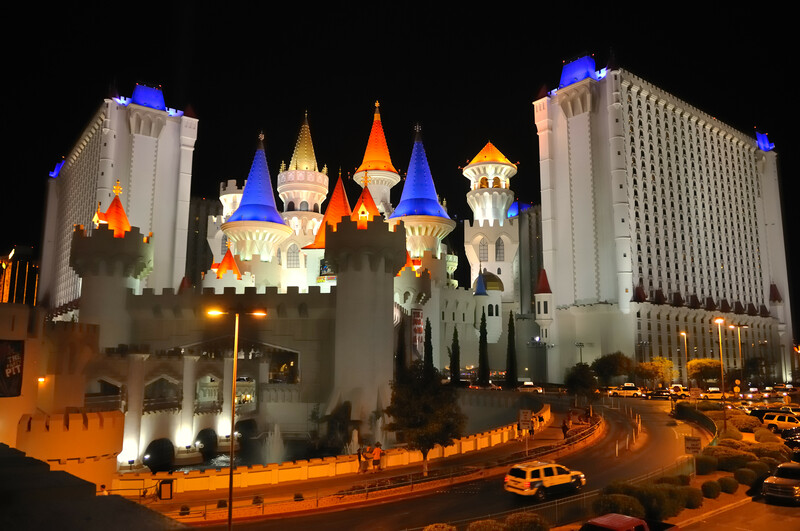 Hotel Excalibur, Las Vegas. Shot with Nikon D90 and Nikon 18-200mm VR lens, without a tripod. Brilliance/Warmth filter used to enhance the warm colors. 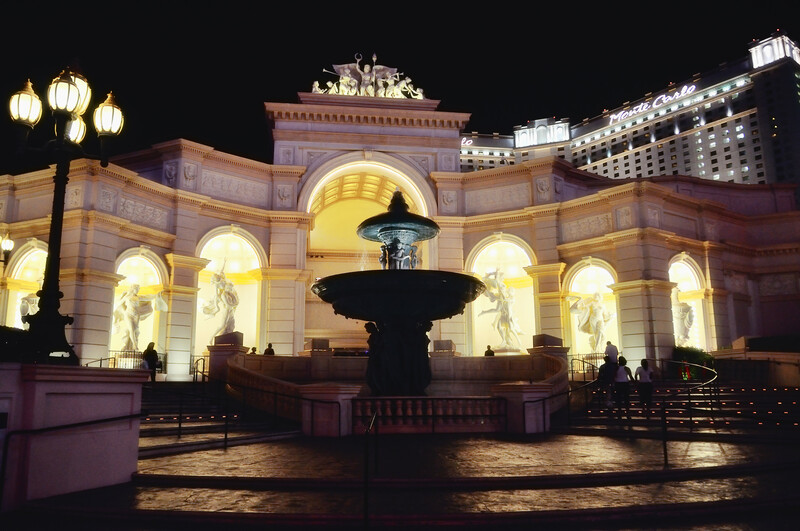 A lucky shot in the fading daylight while we were having dinner in a outdoor restaurant opposite Bellagio. Believe it or not, I have not done any retouching on this photo beyond a simple crop and some noise reduction. The colors are as they came out of camera. I use +3 Vivid setting all the time. Shot with Nikon D90 and Nikon 18-200mm VR lens, handheld. 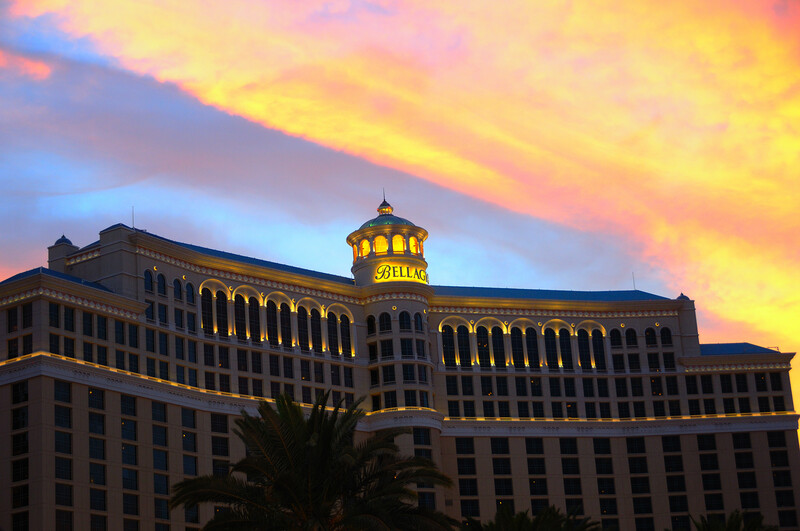 Hotel Bellagio in the fading light of the day. The color of clouds has been enhanced with the Brilliance/Warmth filter. Shot handheld with Nikon D90 and Nikon 18-200mm VR lens. 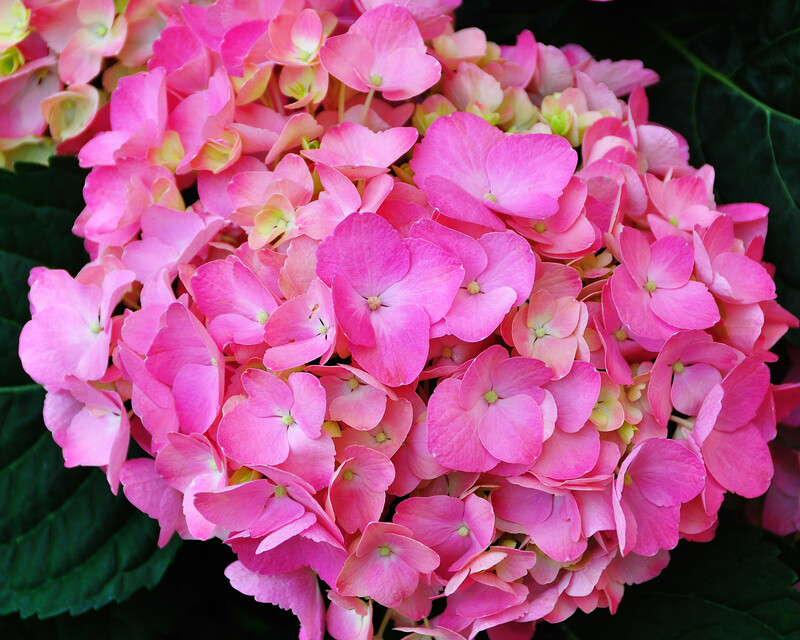 A closeup of flowers in Bellagio Conservatory, Las Vegas. Shot with Nikon D90 and Nikon 18-200mm VR lens. 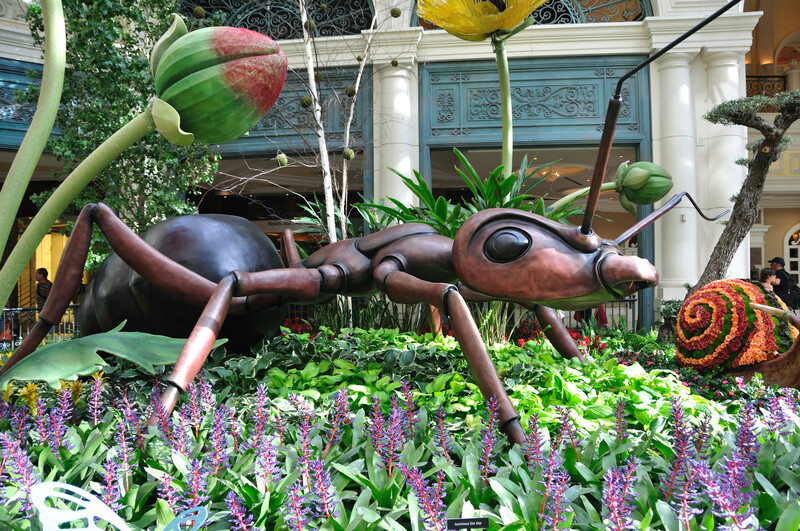 Bellagio Conservatory is a nice place for kids and adults for a few minutes of amusement. This ant (especially the big beady eyes) caught my attention. The light here is very good for photos. Shot with Nikon D90 and Nikon 18-200 VR. 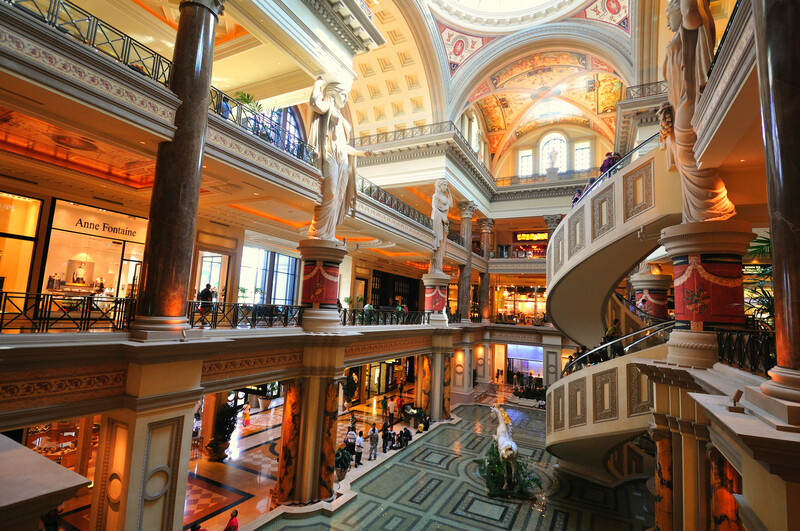 Forum Shops, Las Vegas. This huge shopping mall has magnificent views. We just watched the scene than actually shop here. It’s expensive! Shot with Nikon D90 and Nikon 10-24mm lens. This wide angle lens gives a typical wide-angle distorted feel to the picture. I used the Brilliance/Warmth filter to enhance the warm orange glow of the indoor lighting. 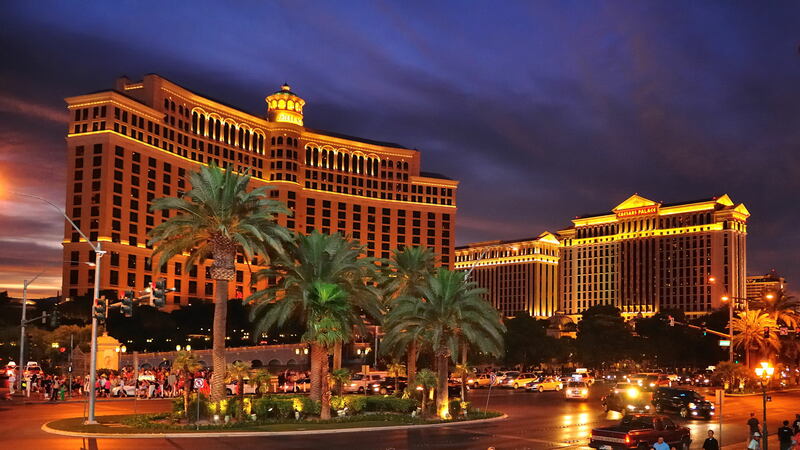 Hotel Monte Carlo, Las Vegas. Shot with Nikon D90 and Nikon 18-200mm VR lens without a tripod. I added a ‘high key’ filter to enhance the lighting. 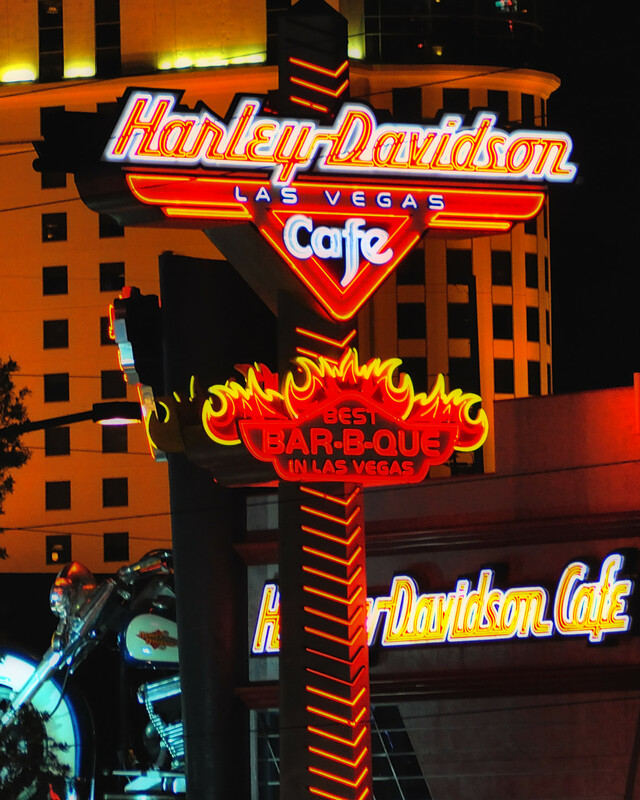 This Harley Davidson sign with bright red, white colors was very interesting. In reality the colors came out slightly different than what I saw them there. I didn’t bother playing with the white balance settings later. Shot with Nikon D90 with Nikon 18-200 VR lens without a tripod. 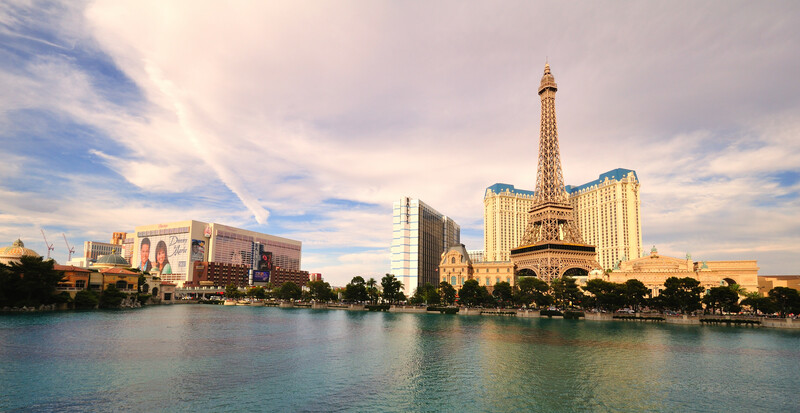 Planet Hollywood and Paris. 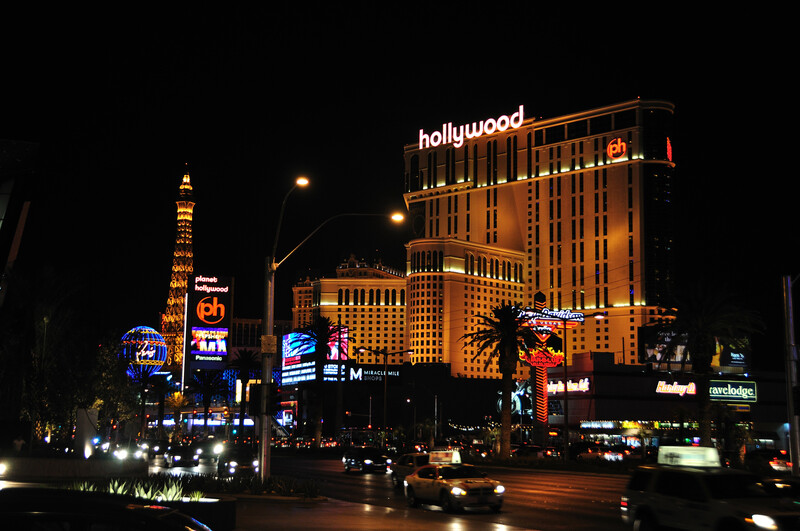 Two iconic hotels in Las Vegas in all their night glory. Shot with Nikon D90 without a tripod. The newer digital cameras are getting very good at high-ISO performance that you don’t need to carry a tripod for a decent photo. I have done some post processing to remove noise and boost contrast. I took this photo from the top floor of Polo Towers which is right opposite to Aria Hotel in late afternoon on a bright summer day. 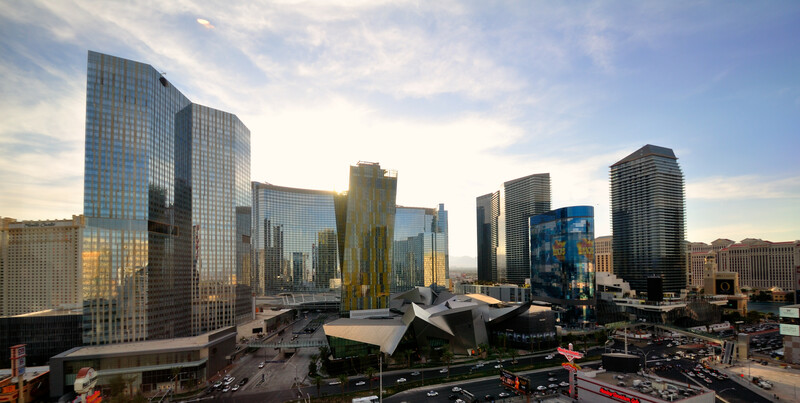 You can see the reflection of other buildings in the glass surface of the Aria and Mandarin Oriental and other hotels in the area. 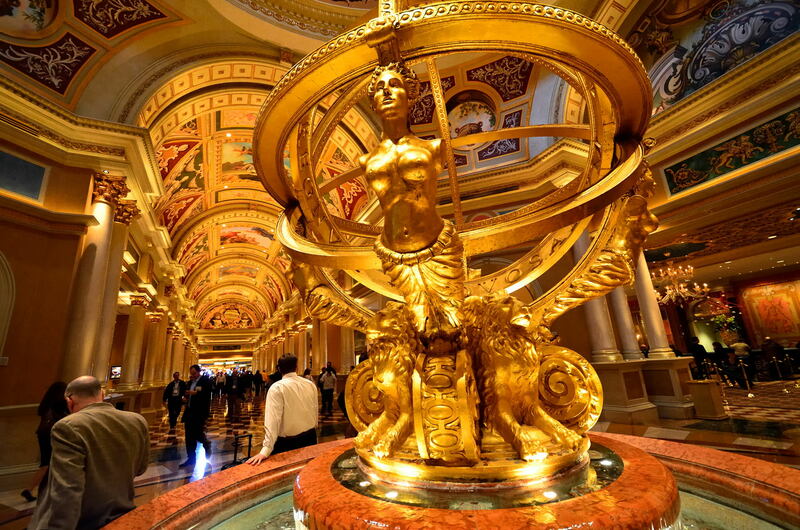 A visit to Las Vegas right in the middle of summer. At noon, streets are deserted (it’s too hot outside). 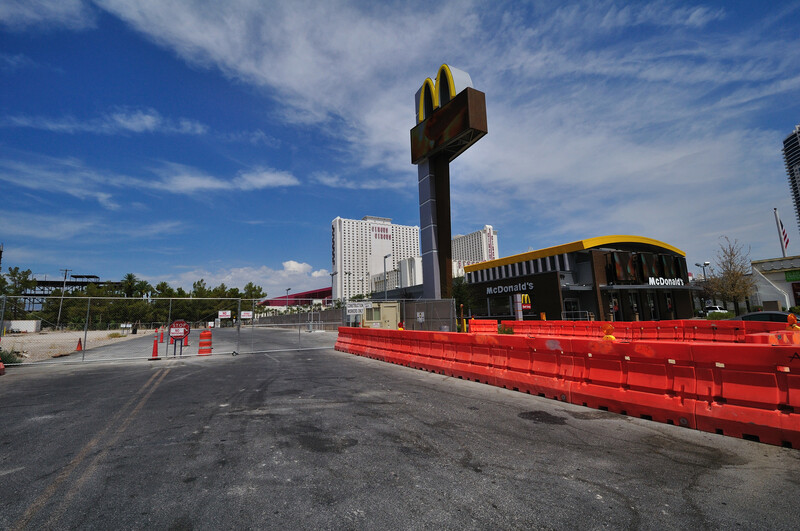 I liked this scene with the color scheme of construction barriers, black/grey asphalt road and McDonald’s and Circus Circus Hotel in the background with blue skys.